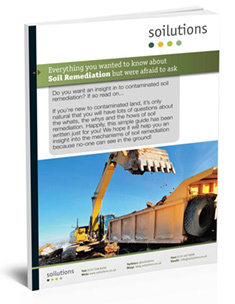 Can my soils be remediated? As with many things in life we are always searching for the quick fix. Unfortunately when dealing with contamination one doesn’t really exist. Gone are the days of being able to sweep problems under the rug. Many of today’s remediation jobs are a result of the ‘leave it to someone else’ attitude, along with more lax bygone environmental governance. Prepare yourself for a possible drawn out process. Even the smaller issues such as a domestic heating oil spill can take months to remediate. Processes you need to take into account can include consultations, site visits, desk studies, site investigations, dealings with appropriate authorities, sampling, developing and implementing remediation plans, monitoring visits, validation, reporting, to name a few. There is no cut and dry approach to remediation, just because a system works on one site doesn’t mean it can be quickly transferred to another site and be expected to achieve the same results. Deal with any environmental issues as they occur don’t dismiss them. It is highly likely the contamination will spread, ultimately becoming more costly to remediate in the long run. If you have encountered an environmental issue, or just looking for some advice feel free to contact us on 0800 0209 307 or e-mail us. Check out the resource section of the Soilution’s website for more helpful advice.